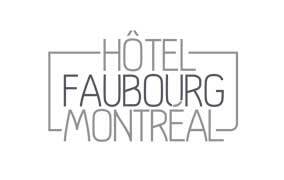 Downtown’s Hôtel Faubourg Montréal offers spacious suites complete with microwave and refrigerator. Guests can also enjoy complimentary hot buffet breakfast, free local calls and high-speed Internet access. 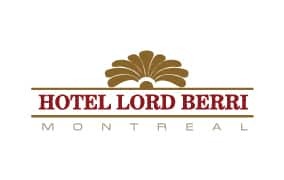 Hotel Lord Berri, a charming European style hotel, is favourably located in the heart of the Latin Quarter Latin, the cultural crossroad of Montreal and a few steps away from the Village and place Émilie-Gamelin, the heart of Montréal Pride festivities. 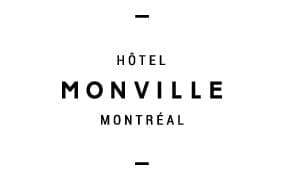 Conveniently located just a few steps from historic Old Montréal, and the vibrant Quartier des spectacles, Hôtel Monville is a true à la Montréal experience, with the city’s spirit carefully and seamlessly woven into thhttp://bit.ly/2J4QuX6e entire building. 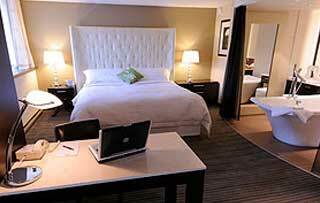 Each room features a king size bed, a rain shower, and an HD television measuring 50 inches or more. The hotel also offers guests access to a gym with best in class equipment – accessible 24/7 – and Wi-Fi throughout at no extra charge. 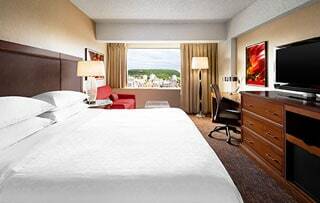 Throughout the Festival, enjoy a special rate of 189$ CAD on your overnight stays by using the promo code FIERTE just here! 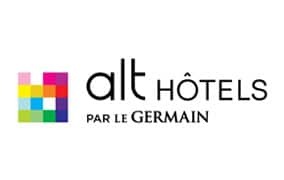 Radiantly new and offering a spectacular point of view of Montréal, ALT Hotel Montréal offers the best comfort price ratio in Montréal. Discover our innovative design and our relaxing bathrooms with glass-enclosed shower stalls opening onto the bedroom. 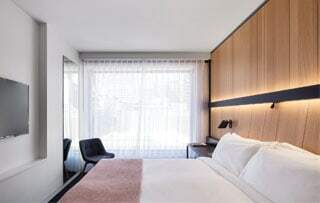 Literally at the gates of the city and walking distance to the Old Port, you will love its proximity to the Lachine canal and downtown’s vibrant nightlife. 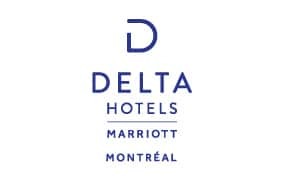 When booking, please enter the code 1908FIERTE in the “Add a code – Group attendee code” tab. Or call the toll-free number at 1 855 823-8120 and mention the name: FIERTE MONTRÉAL PRIDE. Discover our four-star hotel in the hearth of the Village! 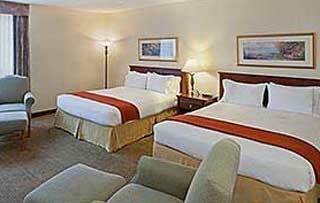 Our 352 rooms offer an ideal base for you to enjoy the festival, downtown shopping and all the tourist attractions. 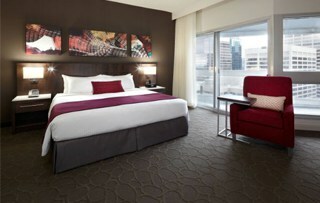 Hôtels Gouverneur Montréal is your downtown hotel for a true Montréal experience. Admire the splendid panoramic view of the city from our rooms or simply relax in the comfort of our establishment. 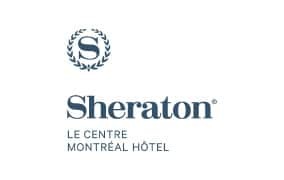 Downtown in the heart of the Quartier des spectacles, this property is walking distance to shopping, restaurants, museums, Sherbrooke Street, and Mont Royal. 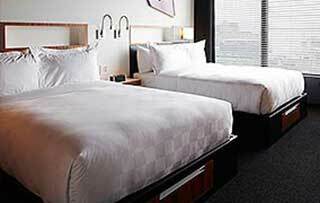 The hotel has 456 oversized guestrooms and suites, and almost all have a balcony. Enjoy the salt water pool, sports centre, squash courts, whirlpool, and sauna. Visit MBiospa and Mann, specialized onsite wellness facilities for women and men. Experience first-hand a city that is open-minded as it is kind-hearted. 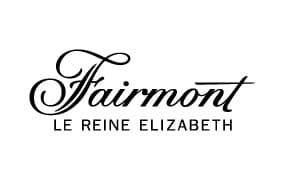 Fairmont The Queen Elizabeth wants you to fully enjoy your visit during Montreal Pride in our stylish and vibrant city. 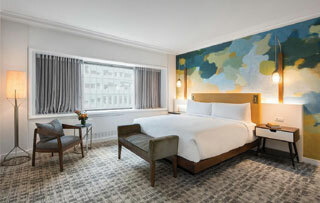 The hotel boasts a brand new design blending a contemporary decor with a vintage flair reminiscent of Montreal’s golden years.